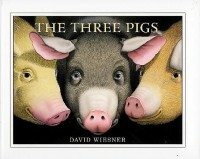 The Three Pigs by David Wiesner is a fun and very different version of the story The Three Little Pigs. In this book the pigs actually get blown out of the story by the wolf and they get to go and visit other classic stories. This book is super fun for older students, but it might be hard to follow for younger students. If I were to use this book in my classroom I would use it in an older grade level and I would pair it with a study of other well known fairytales. I would allow the students to come up with their own versions of the fairytales and if time permits we would share them with the class. I think that this is a great book for older students, and also one that they will really enjoy! Chrysanthemum by Kevin Henkes is my all time favorite children's book. 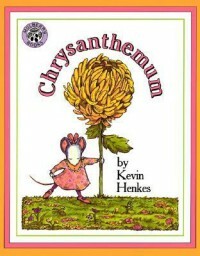 As a child I could relate to Chrysanthemum because my name was also very long so I have always had a sweet connection to this book. I think that this book will be great for younger ages, and would be a great book to share one of the first few days of school. Chrysanthemum teaches children the impact that they can have on another person, and also shows them that bullying someone never works out in the end. If I were to use this in my classroom, I would use it at the beginning of the year as a intro into "name game" where all the students spell out their name and we see how many letters they all have. I could also see myself using this to study characters emotions and actions. Like I said earlier this is my favorite book so it will more than likely be one of my first purchases for my classroom! 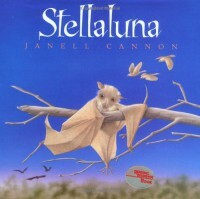 Stellaluna by Janell Cannon is one of my all time favorite books. It is about a baby bat who gets lost and then grows up with birds and ends up finding her way back home! I think this is such a sweet story and I think it would be great in the classroom because it shows students the similarities and differences of birds and bats but in a cute way. If I use this book in my classroom I could see myself using it around Halloween and allowing students to make a KWL chart about bats. I could also have the students create a Venn Diagram and have them compare and contrast birds and bats. I have no doubt that this will be one of the first books I buy for my classroom! 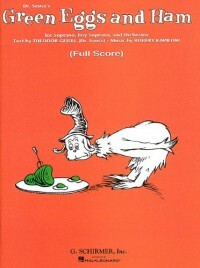 Green Eggs and Ham by Dr. Suess is another classic book that has been used in classrooms for a very long time. This story is about not liking green eggs and ham and in the end he realizes that he does like them, he just needed to try them. This is a great book to read to students because it shows them that you need to try something before you say you do not like something. Children will also love the repetition that is in this book as well as the fun characters! If I were to use this book in my classroom I think I could go different ways, I could see myself doing a character education lesson for younger grades where they have to come up with something they do not think they like but want to try. I could also see myself doing this with a lesson on sequencing because each page Dr. Suess adds another thing and I think it would be helpful for students to have that to learn sequencing. 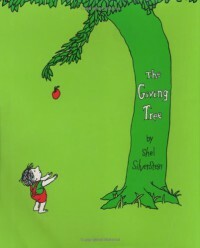 The Giving Tree by Shel Silverstein is a classic children's book about a tree and a boy and the selfless love that the tree has for the boy. It goes through each thing the tree can give the boy and even in the end when the reader thinks the tree has given everything, the tree has one more thing to give. This would be a great book to read in the classroom because it has to do with putting others before yourself and always giving to others. If I were to use this book in my classroom I would do an activity where the student would write on a leaf what they could give to another person. This could be done with multiple leaves on one tree for each student, or it could be turned into a cute board! This is a book that I already have and I plan on using in my classroom! 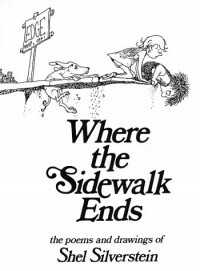 Where the Sidewalk Ends by Shel Silverstein is a classic collection of little poems that children love! Even though this is not a full on story, children can still remember main poems from the book and it can be used as a "if we have some extra time" treat! I plan on having this in my classroom and the activity would have to depend on what poem I am using, for example if I were to use the poem Boa Constrictor I would probably do a lesson on sequencing because it talks about going up the body in order. I also think it would be good to have this in my class to work on fluency, just to have the students to read to themselves to work on the rhythm I think would be great! 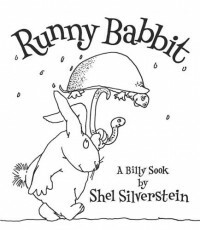 Runny Babbit by Shel Silverstein is a very funny book that switches the first letter of the words throughout the entire story! While this is a challenging book for most struggling readers/young readers, I think it is a fun story and the fact that they have to pay attention to the words since they are all switched up makes the students more engaged during reading! If I were to use this book in my class I would actually put it with a lesson on fluency and have students read different parts of the story. I think that the students would really enjoy reading this book themselves, and then I would ask them to write a sentence where they switch up the first letters like Silverstein does in this book. 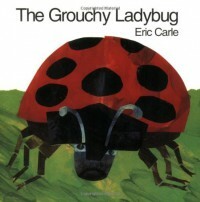 The Grouchy Ladybug by Eric Carle is a fun and interactive story about a ladybug who keeps trying to fight bigger animals until he gets to a whale that slaps him with his tale back to the original ladybug he was talking to. This is a great book to show growth and sequencing because the page gets bigger each time until it comes up to the whale and it takes up the whole page! I think that children will also love the colors and animals that are found throughout the illustrations in the book. I would use this book in younger classes, but if I were to use it in my classroom I would do an activity with sequencing and play a game where the students have to put the animals in order. This activity would also correlate with size since the animals get larger throughout the story. 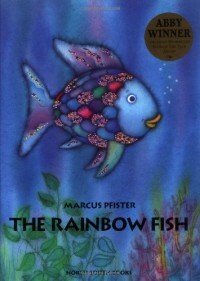 The Rainbow Fish by Marcus Pfister is a very sweet story about a little fish who does not want to give away his shiny scales, but in the end he learns the joy of sharing his scales with others. This is a classic book that has been read to children for many years and it is one that I think will continue to be read for many years! One subject that used to be very prominent in the classroom was the lesson of sharing and I think that this book does a great job of showing children what they can get out of sharing with their friends. If I were to use this book in my classroom I would do a lesson on character traits and then have the students each write a good character trait on a scale and then we would make a big rainbow fish using those scales. 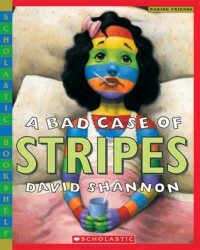 A Bad Case of Stripes by David Shannon is a very colorful and fun book! This story is about a little girl who loves lima beans but then does not eat them because nobody else likes them. She then goes through a bunch of health problems and doctors don't know what is causing them. This story is one that children love because of all the different problems the girl has and also how bright and fun it is! This story teaches the important lesson that you do not need to conform to being like your friends, just be yourself and you will be happy! If I were to use this book in my classroom I could see myself doing a sequencing lesson/activity where they put what happens to her in order. I could also get them to write a paragraph about why being different is good! 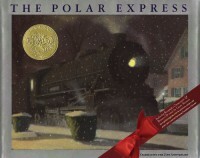 The Polar Express by Chris Van Allsburg is a holiday book about a boy who goes on a journey on a train to the North Pole on Christmas Eve. The story is one that is shared in elementary schools all over every December! Being someone who loves Christmas I plan on always having a day to read this book and do fun Christmas activities. 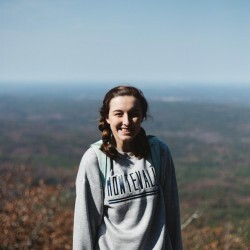 Some of the activities you could do with this include a sequencing game where they put the main events of the story in order or even have the students compare and contrast the characters. There are a lot of different things you could do with this sweet book and your students would love it! 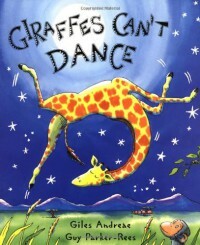 Giraffes Can't Dance by Giles Andreae is a funny story about a giraffe who is made fun of because he cannot dance. This story shows children that it is important to always have confidence because it will help you in the long run! I think that students would love this book because it is so colorful and I think that they will think Gerald the giraffe is funny! If I were to use this book in my classroom I would ask the students to write about a time they had courage and how they overcame that fear. 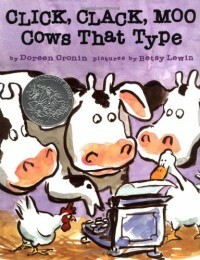 Click, Clack, Moo Cows That Type by Dorren Cronin is a fun story about cows who are given a type writer and they then start writing letters to Farmer Brown. Children will love this book because of the different demands the cows make and just the fact that there are cows typing! If I were to use this book in my classroom I would put it with a lesson that teaches the students the proper way to write a letter. After they were taught how to write a letter I would get them to write a letter to the cows from the story! 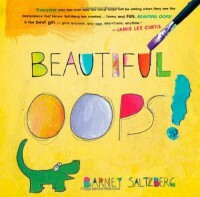 Beautiful Oops by Barney Saltzberg is a very colorful book that includes a bunch of mistakes that are turned into something else. This book is so fun and shows children that it is 100% totally ok to make mistakes! It also has a lot of interactive parts, for example a page that is actually ripped or a part of a page that flips to show a surprise, that makes the children a lot more excited to read the book since they can play with the different parts! If I were to use this book in my classroom I would give the students a blank sheet of paper and tell them to make a mistake with the paper and then turn it into something totally new like they do in the book. 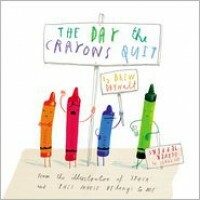 I think this book would be crucial during Kindergarten and even 1st grade! 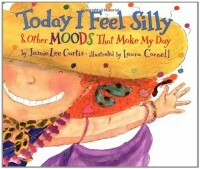 Today I Feel Silly and Other Moods That Make My Day by Jamie Lee Curtis is a cute book about a little girl and all of the different moods that she has. It is bright and colorful and at the end of the story it has a picture of the girls face and then little dials that allow the reader to change her facial expressions/moods. This was one of my all time favorite stories when I was little because of how fun the story was! I think this is a great book for children because it teaches them about the different emotions people deal with daily and it also shows them the proper way to handle each emotion. If I were to use this book in my future classroom I would probably do a read aloud to my students and have them show me which emotion the little girl is feeling with different emojis I have given them. After that I would have them draw themselves showing a particular emotion and then ask them to explain to me in a few sentences how they felt when they had that emotion.